Located at the end of a boulevard with hundred of years old linden trees, Curtea de Arges Monastery is the most important pilgrimage and prayer place in the county of Arges, with the “Assumption of the Virgin” as its dedication day. 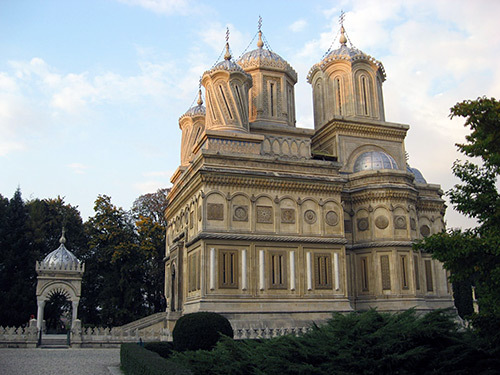 Founded in the time of voivode Neagoe Basarab, between 1512 and 1517, the monastery is a part of the most famous Romanian legend, “The legend of master Manole”. Known also as the Episcopal Church, because it was an Episcopal See between 1739 and 1748, the house of worship is 18 meters length, 10 meters wide and 25 meters high. As a curiosity, the naos and the pronaos are not separated by a door, but by the frame of a door, placed between two columns. Inside the church, the visitor’s attention is captured by the mural paintings in oil, made by the French painters F. Nicolle and Ch. Renouard and by the Romanian painter N. Constantinescu from Curtea de Arges, and especially by the group of the 12 columns representing the 12 Apostles. 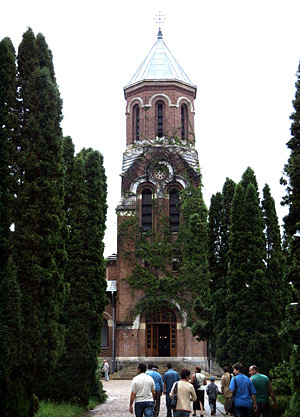 The relics of Saint Filofteea, parts of the relics of Saints Serghie, Vach and martyr Tatiana and the Great Saturday Gospel Resurrection, written in gold by Queen Elizabeth can also be found inside the monastery. The mortal remains of Kings Ferdinand and Carol I and Queens Elisabeth and Maria rest here as well. 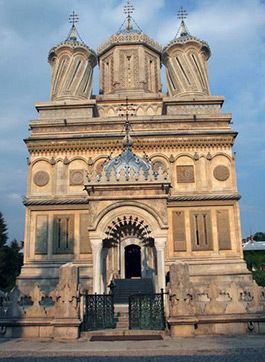 Historic documents state that the canonization of Saint Hierarch Nifon (+1508), Patriarch of Constantinople and Metropolitan of Walachia (1500 – 1505) took place at Curtea de Arges, on 16 August 1517. 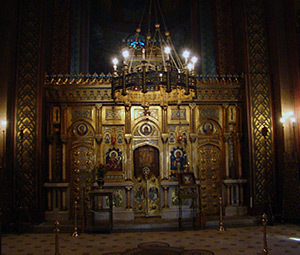 His holy relics were sent from here, in a silver, golden plated coffin to Dioniseu – Athos Monastery. Saint Martis Sofronie of Cioara, one of the defenders of Orthodoxy in Transylvania, took shelter in this halidom. Because of its notoriety and spiritual charge, Curtea de Arges Monastery is to be found on most presentation folders and albums of Romania. According to latest statistics, about 100 000 tourists and pilgrims visit it every year. The most crowded feast days are the “Assumption of the Virgin”, “Izvorul Tamaduirii” (Healing Spring Waters Day) and Saint Filofteea. At this last celebration the relics of the saint are taken out, and the believers pass underneath it, because it is said to protect of illness and bad luck. The entrance in Curtea de Arges Monastery. 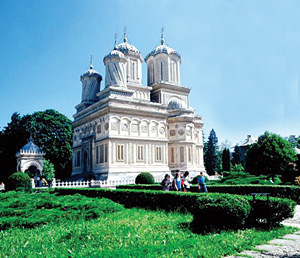 “The legend of master Manole”, which is directly connected to the name of Curtea de Arges Monastery, says that the ruler hired the greatest masters to build the place of worship. But all that they had built during the day fell apart during the night. So one night Manole had a dream, showing him that the construction would resist only if he built his wife in one of the walls. The next day, when his wife Ana came to bring him the food, Manole built her in the South wall. When all was ready, Neagoe Basarab was impressed by the beauty of the Monastery, and ordered his servants to take the stairs that leaded to the roof so that the masters could not come down and built a more beautiful church. Then Manole manufactured some sieve wings so he could fly, but he crushed. It is said that a spring, representing Manole’s tears, appeared on the spot where he touched the land. The spring actually exists, and it is near the monastery. Another legend refers to Saint Filofteea’s holy relics, the relics of a 12 year girl that are to be found in the chapel of the monastery. It is said that the girl used to carry food to the workers hired by her father. But one day she gave the food to the beggars encountered in her way. Then her father killed her with one hit of the axe. The corpse of the girl could be lifted only when the name of Curtea de Arges Monastery was mentioned. That is the reason why the priests have decided to put the relics in this monastery. Saint Nicholas Royal Church from Curtea de Arges. In Curtea de Arges town tourists can also visit San Nicoara Church, which dates from the 14th century, being built on a high plateau, probably together with the first royal court, and about which some historians say to have been the model for the Densus Church. The ruins of the royal court, dating from the 13th century, and of which two boyar house cellars are well preserved, are to be found in the centre of the town. There is also Biserica Domneasca “Sf. 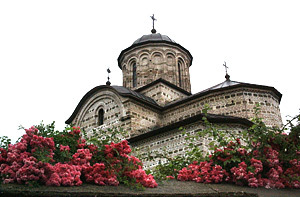 Nicolae” (Saint Nicholas Royal Church) that shelters the tomb of voivode Vlaicu Voda. 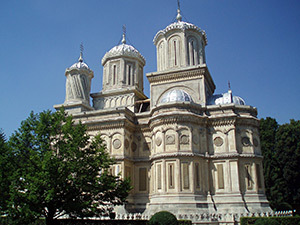 The church of Curtea de Arges Monastery. 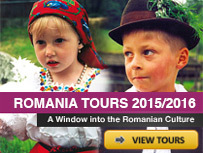 Curtea de Arges Monastery is 150 km far from Bucharest and 36 km North – West from Pitesti. 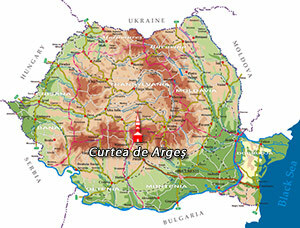 The access is from Bucuresti – Pitesti highway, and after that one should take the route that leads to Curtea de Arges. Those who want to spend the night there may choose between boarding houses of different categories, or the hotel that is 200 meters far from the monastery. 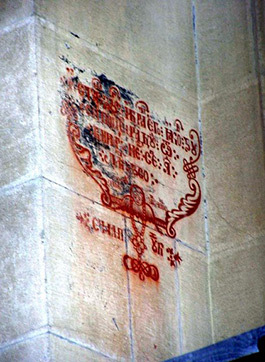 It is said that impress the stamp marks the place where it was built Ana – Curtea de Arges Monastery. Va rugam frumos sa ne spuneti daca Sf. Iacob Persul este reprezentat pe fresca bisericii Sfantul Nicolae. Daca este va rugam sa ne trimitei o fotografie cu aceasta pistura. Manastirea Dragomirna are puse, spre inchinarea credinciosilor particele din moastele Sfantului Iacob Persul si ne dorim sa stim mai multe despre locurile in care este pictat sau se patreaza sfintele moaste. sint argesanca de origine din pitesti. ar fi bine s-a lasati o pagina ptr a face shering in fb asa lumea va vedea mai mult istoria tari noastre si a argesului. 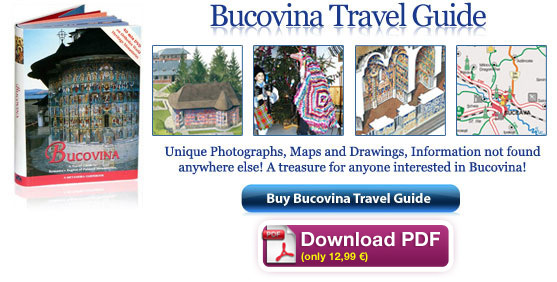 poate in felul acesta vom avea mai multi turisti! va pup pe toti argeseni! Curtea de Arges are o istorie frumoasa si pe deasupra foarte respectata. Eu am trait multi ani acolo si desi am plecat, orasul meu natal: Curtea de Arges, nu o sa-l uit niciodata. Va puup cu drag pe toti argesenii si sper sa ne revedem in curand.